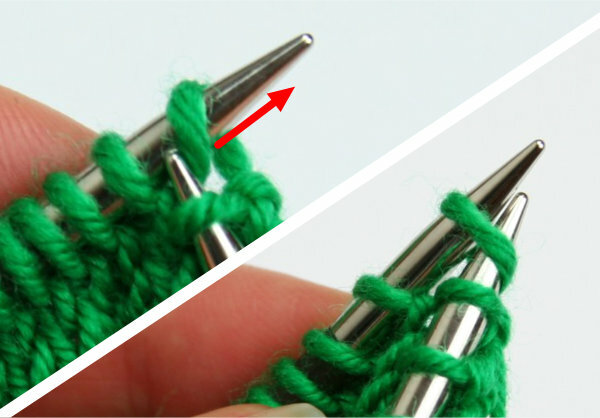 How to knit an M1 increase left, right, knit-side, purl-side, with hole or no hole. A useful increase is the 'Make 1'—usually abbreviated to 'M1' in patterns. 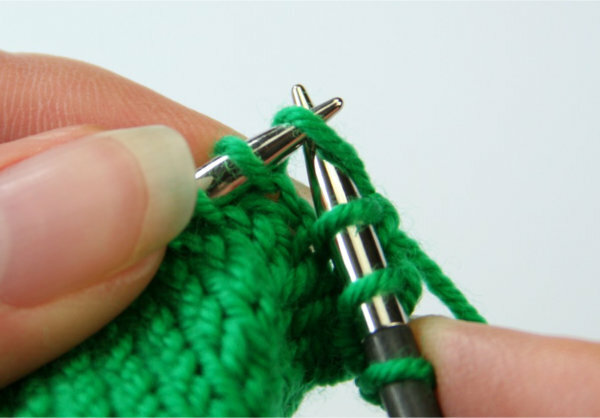 It can lean to the left or the right, and can be made on the knit or the purl side. 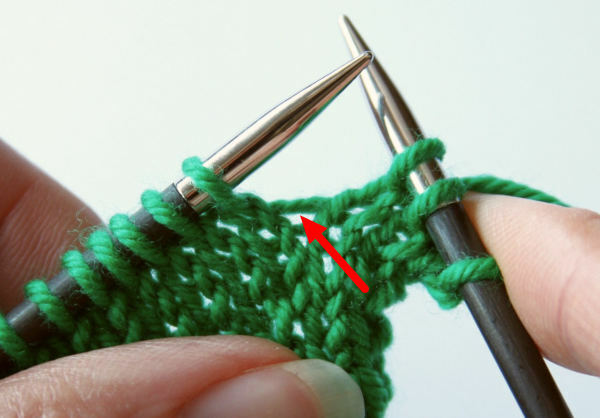 If you twist the new stitch as you make it, you avoid leaving a hole. 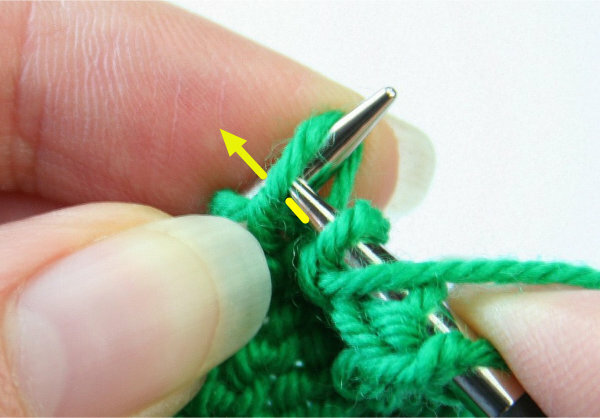 An M1 increase is formed between two stitches, using the length of yarn, or 'bar', that runs between the two stitches where you want a new stitch. Patterns often don't specify which increase to use, just saying M1 rather than M1L (for left-leaning) or M1R (for right-leaning). If this is the case, you can do whichever you prefer. I find the left-leaning version easiest, so I'll start with that one. 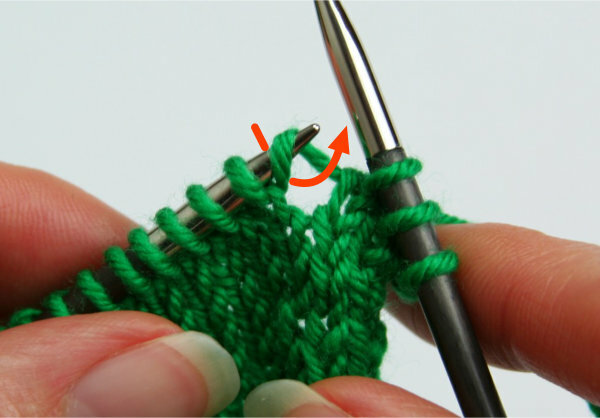 Lift the bar between the two stitches with your left needle, moving from the front to the back of the knitting. Knit through the back of this loop. 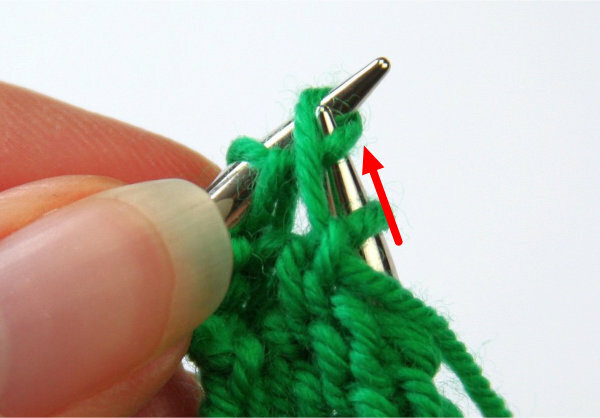 This twists the stitch and prevents a hole forming. And here's the new stitch. Just knit or purl it as usual when you come to it again. Here there is an M1L every 4 rows—and no holes. 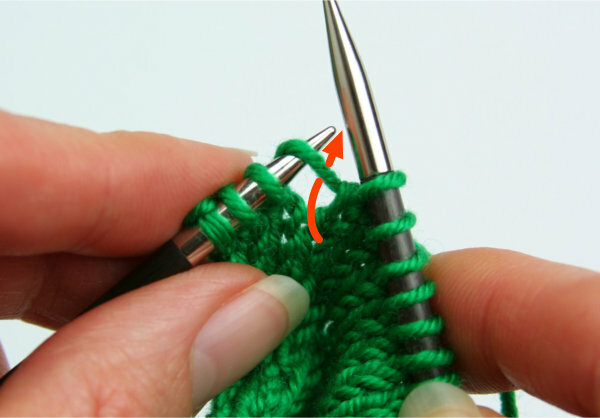 Lift the bar between the two stitches with your left needle, coming from the back to the front of the work. Knit through the front of this loop. It's a bit fiddly, but this twists the stitch and prevents a hole forming. Here there is an M1R every 4 rows—and no holes. 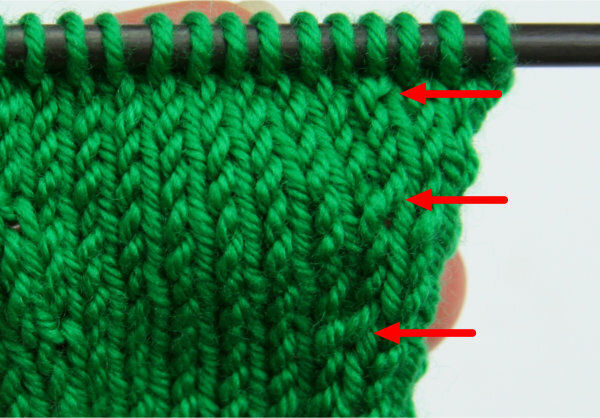 It's less common to increase on the purl side, but it's useful to know how. 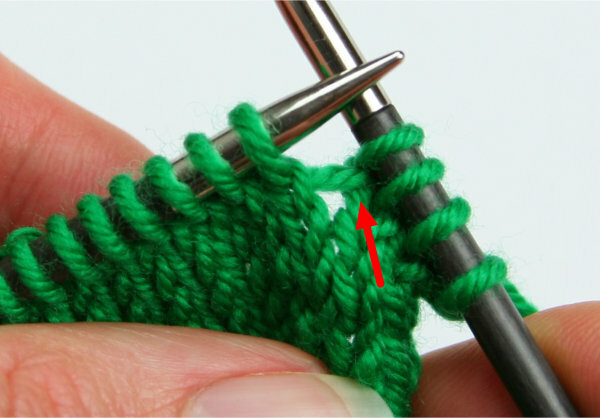 Lift the bar between the two purl stitches with your left needle, moving away from you, i.e. from the purl to the knit side of the work. Purl through the back of this strand. 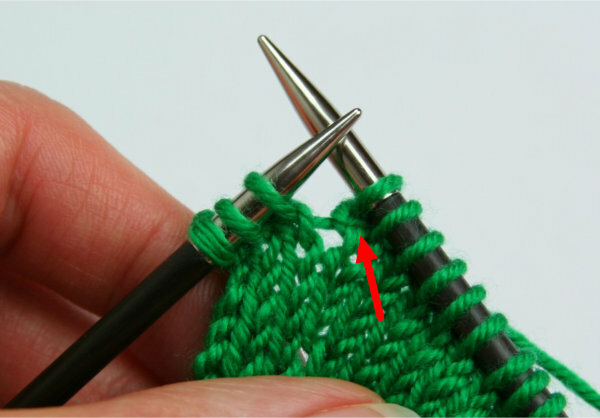 This is a bit contorted, as you need to bring the needle through from behind the stitch. 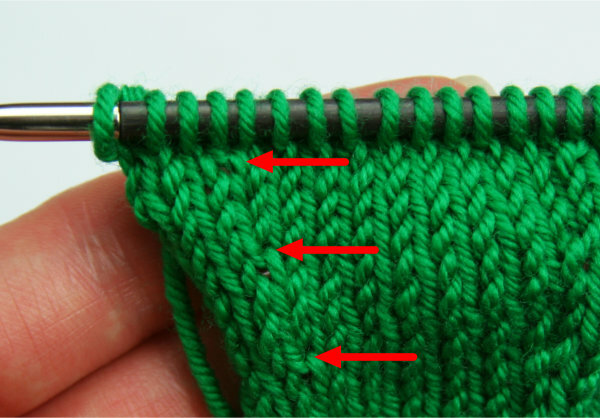 Lift the bar between the two purl stitches with your left needle, bringing the needle towards you, i.e. from the knit to the purl side of the work. Purl through the front of this strand to make the new stitch. 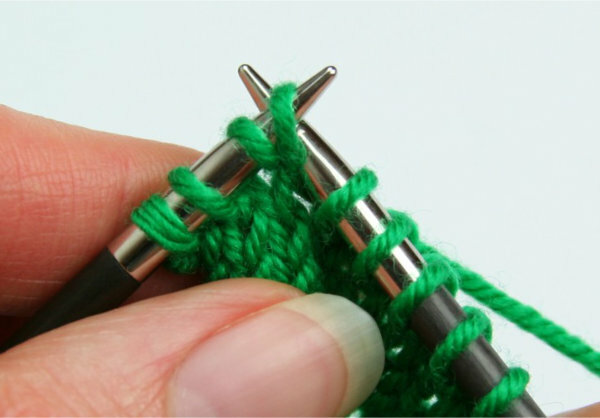 For a left-leaning Make 1, whether on a knit or a purl row, move the left hand needle away from you to pick up the bar. For a right-leaning Make 1, move the left hand needle towards you to pick up the bar. I remember this because if someone has left they're going away from me. 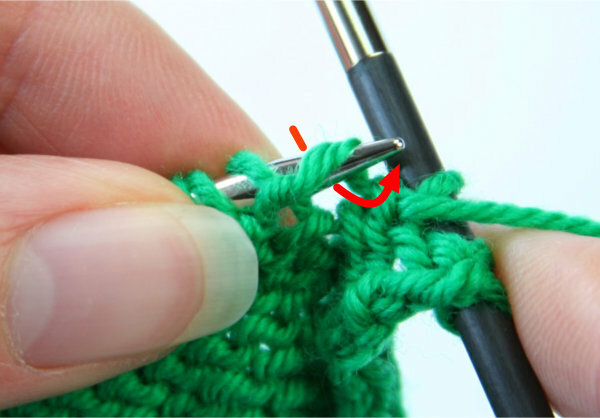 Finally, if you want to leave a decorative hole, then don't twist the stitch. 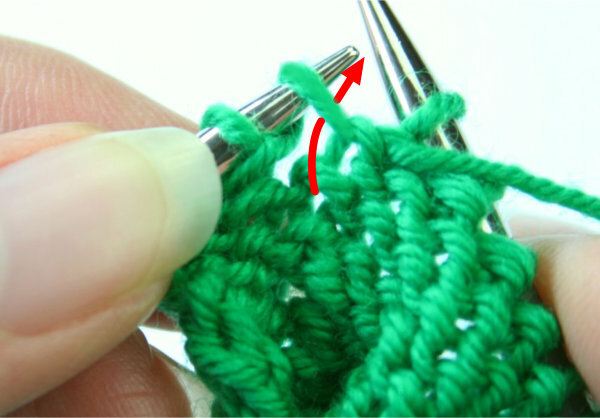 Instead of twisting the new stitch, knit through the front of the loop. P.S. If you haven't yet signed up to our Yarn Geeks newsletter, use the form below!